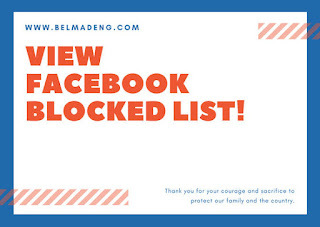 Best Approach for Viewing Blocked List on Facebook: A blocked list is a list of people a Facebook user banned from accessing his/her profile on the giant social networking website. Facebook in a bid to make the platform user-friendly, includes a feature which lets a user blocked other users from having access to their wall and stuff they do in the case where they are uncomfortable with the person's actions. See: How do you Edit or Remove your Location in a Facebook Post? If however, you have a change of mind toward the person, in the long run, you can unban or unblock the banned person from the blocked user's list. 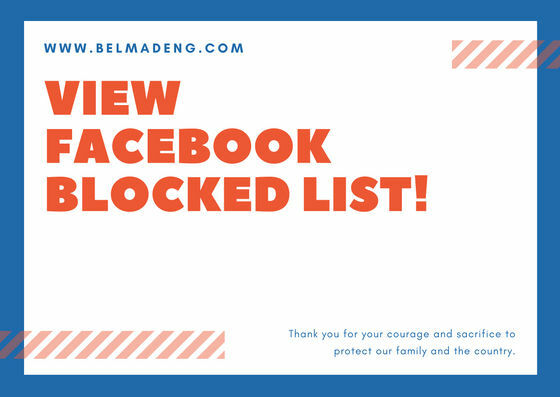 So if you're in search of the best approach for viewing a blocked list of users on Facebook, this post got you covered. 5. Now, go to the blocked users list section and scroll down the list to check the people you've blocked so far. To unblock someone you've blocked on Facebook, follow the above steps and then select unblock that is next to the name of the person you wish to unblock. That is the best way to view or see your blocked users on Facebook.